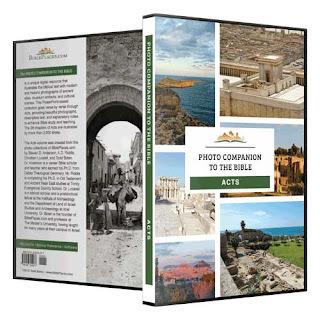 Since February has 28 days, and Acts has 28 chapters, BiblePlaces has posted 28 sets of pictures and explanations for each chapter. You can check them out here.If you like what you see, then you should consider getting all 4,000+ pictures in the Photo Companion to the Bible volume on Acts. It is on sale today here. If you are a Bible preacher, teacher, or serious student you will want to get this resource.